Nelson is disturbed when he receives a letter telling him to go to the stone circle and save the child who is buried there. Not only are children very much on his mind but the letter reminds him of Erik Anderssen, the archaeologist who once wrote to him in a similar sinister style. 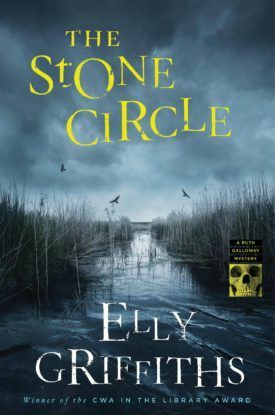 When he discovers that Ruth is excavating a stone circle on the North Norfolk coast and that the lead archaeologist is Erik’s son, Leif, Nelson feels more concerned than ever. Sure enough, a child’s bones are found in the circle, those of a girl who vanished thirty years ago. When the lead suspect in that case, the so-called Stone Man, is found dead, Nelson knows that he is dealing with a killer who cannot forget the past. Before long Nelson is searching for another missing child and Ruth and Cathbad are following Leif on a quest that threatens to unearth more secrets that should have stayed buried.